This week we will be focusing on Turmeric! Many of us know Turmeric as the ‘Indian Spice.’ It is what gives curry that yellow color. Turmeric has been used in food and as medicine for over 5,000 years. It is known to protect against cancer. Research shows that turmeric can break down toxins in the body and stimulate the immune system. It is also a powerful anti-inflammatory and antioxidant. Turmeric enhances the anti-cancer effects of Green Tea by 8 times! After you enjoy your morning tea add some spice in your life and eat something with Turmeric or add Turmeric supplements into your daily routine! 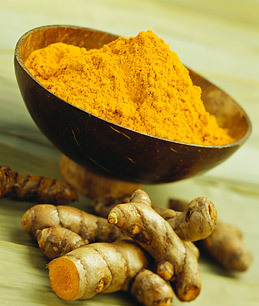 Here at Thermography for Health NY we offer an excellent Turmeric Supplement.